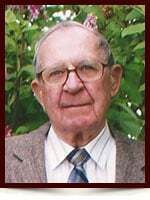 Alex Madiuk - Edmonton's Burial & Cremation Professionals | Trinity Funeral Home Ltd.
Mr. Alex Madiuk of Edmonton passed away on Thursday, September 24, 2015 at the age of 90 years. Alex will be fondly remembered by his loving and devoted wife of 60 years Eva, his treasured daughter Loreli (John Garry), his brother Joe (Iris) Madiuk of Edmonton, his sister Phyllis Madiuk of Thorsby, as well as many extended family and dear friends. Alex was predeceased by his parents Jacob and Annie, brothers Victor, Tom, Art and Ken and sisters Frances Olson, Sophie Madiuk and Estella Wickstrom. Alex loved life and appreciated every moment, his courage and strength were evident even through his final days. His kind heart and caring spirit will be greatly missed by everyone who had the privilege to know him. Special thank you to the staff of Extendicare Eaux Claires for the care provided to Alex during the final year and a half of his life. A celebration of Alex’s life will be held on Saturday, October 3, 2015 at 1:00 p.m. at Trinity Funeral Home, 10530 – 116 Street. In lieu of flowers, those who wish to do so may make memorial contributions to the Alberta SPCA (albertaspca.org). I was sorry to learn of your dad’s passing. My sincerest condolences to you and your mom. I hope that happy memories bring you some comfort during this time. Eva and Loreli, our deepest sympathy to you with the passing of Uncle Alex. We always looked forward to seeing Uncle Alex, and enjoyed the conversations with him, no matter if they were about politics, Oilers, farming, careers in the hotel industry, or simply adjusting the carburetor of a Ford Maverick. He certainly had his opinions on all of that and more, but more importantly he wanted to listen to your opinions and would stimulate the conversation with questions and he was genuinely interested in what you had to say. Alex will truly be missed by family and friends. I am so sorry to hear about your dads passing Loreli and my deepest condolences to you and your family. May god bless you all with his loving care and be with you in this time of sorrow. God bless.